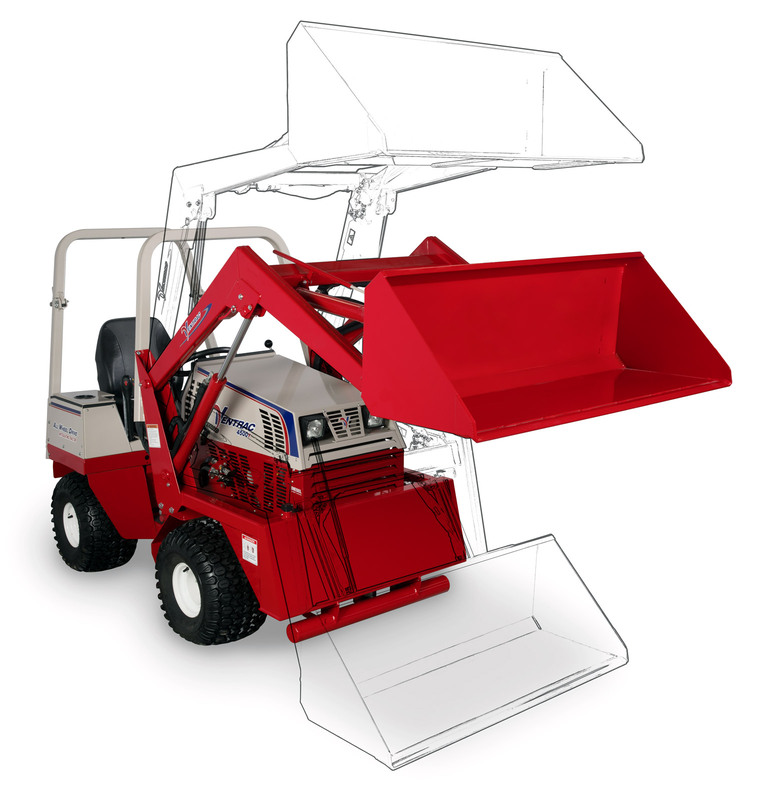 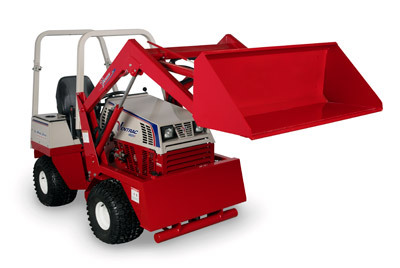 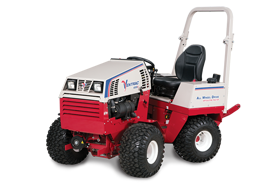 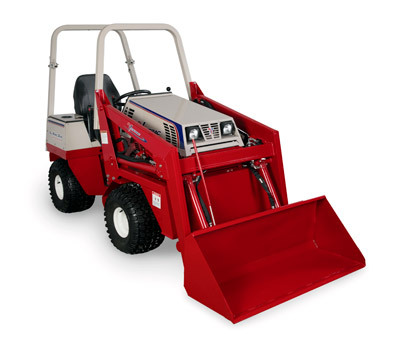 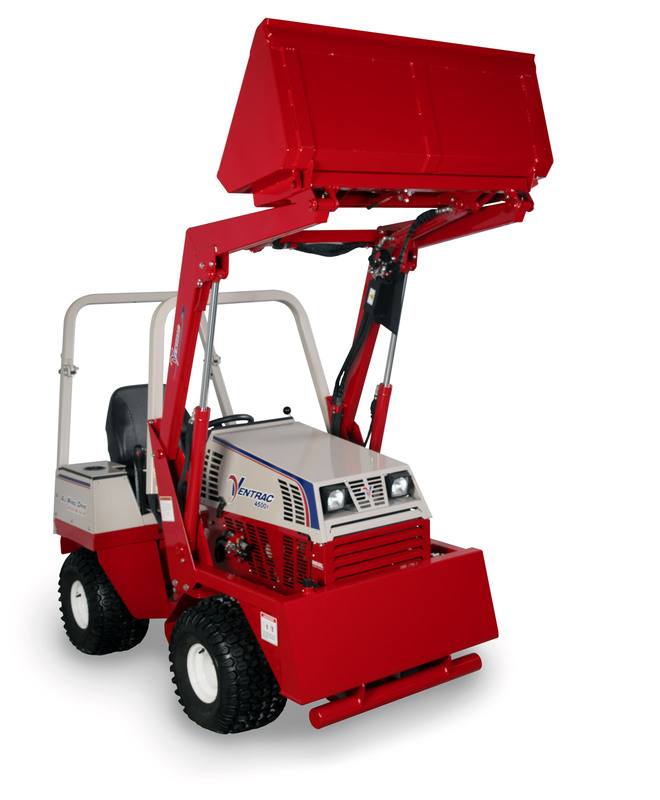 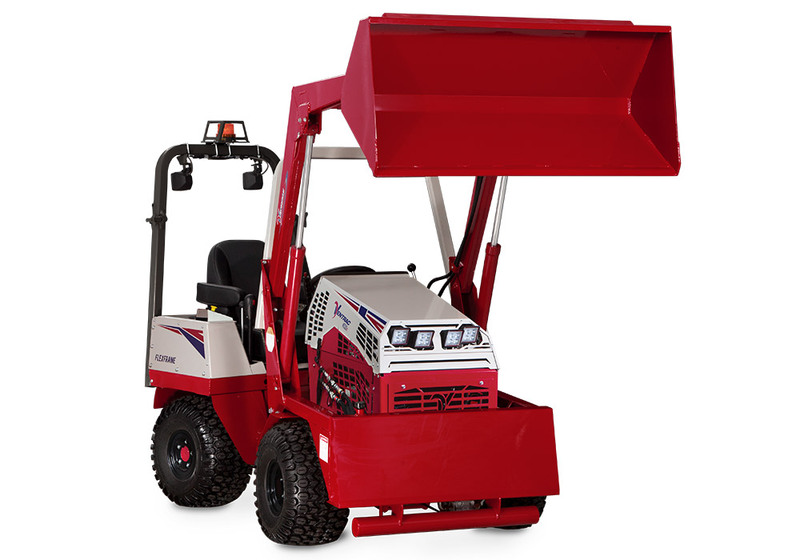 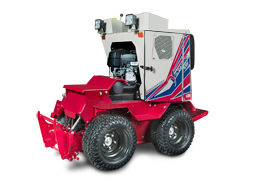 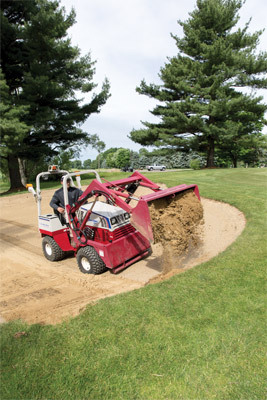 The Ventrac KH500 VERSA-Loader is one attachment capable of performing several different tasks. 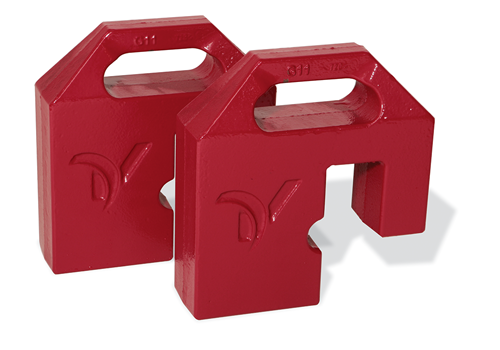 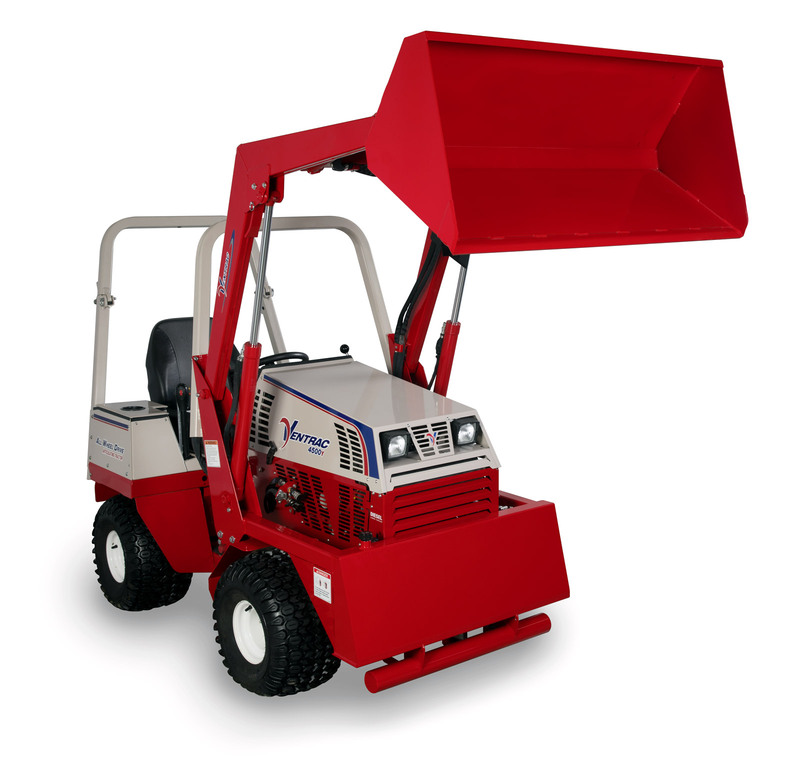 The VERSA-loader offers you a standard 5 cubic foot bucket capable of lifting 500 pounds over 6 feet high. The versatile design allows you disconnect and get attached to other optional attachments in minutes without tools or heavy lifting. 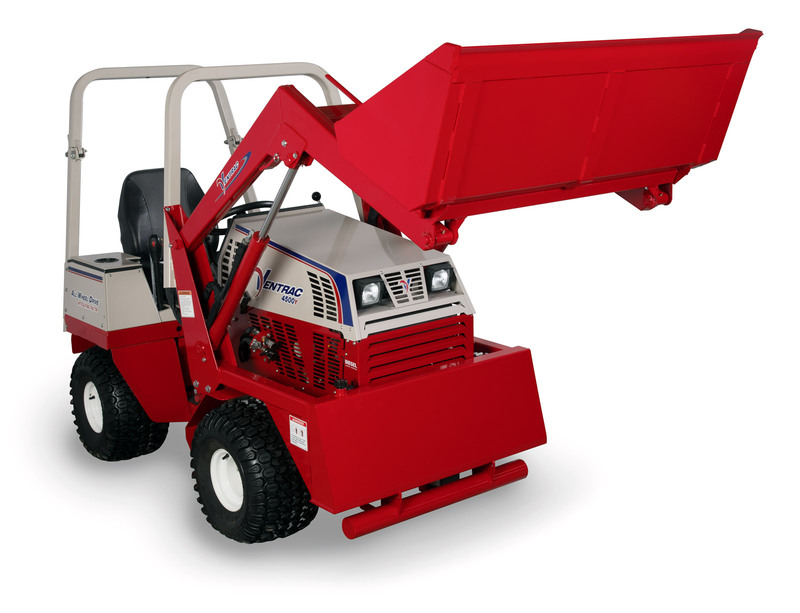 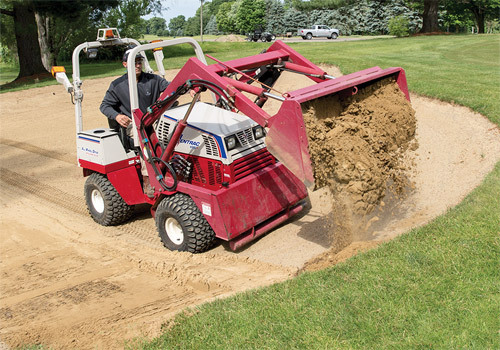 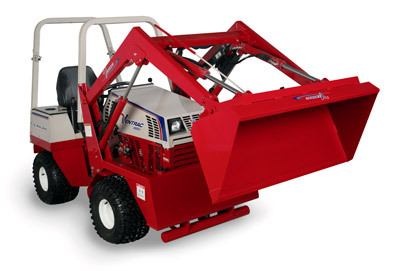 The Ventrac-Versa Loaders 5 feet/square-foot capacity allows operators to carry up to 500 lbs per bucket load. 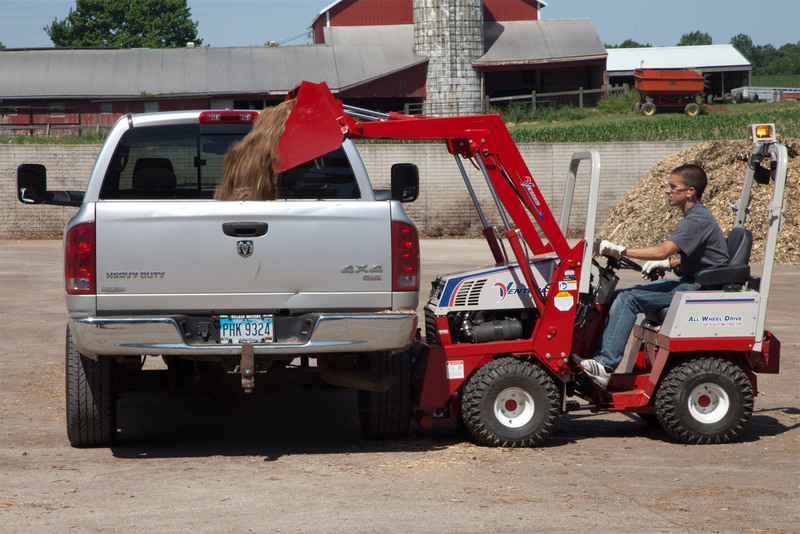 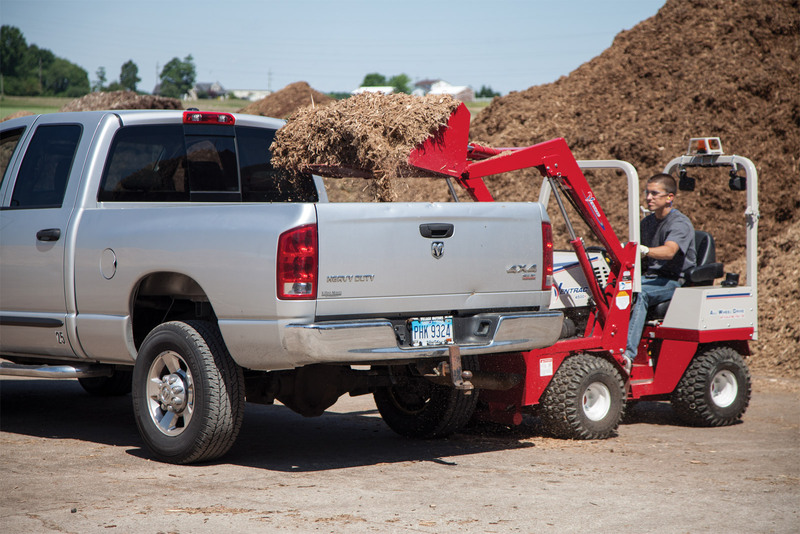 The Versa-Loader offers increased versatility with over six feet of lift ability. 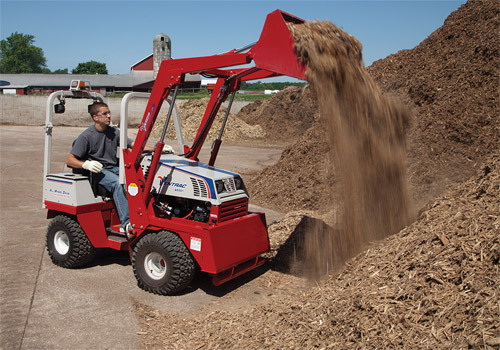 The Versa-Loaders single-handed control provides operators a smooth experience. 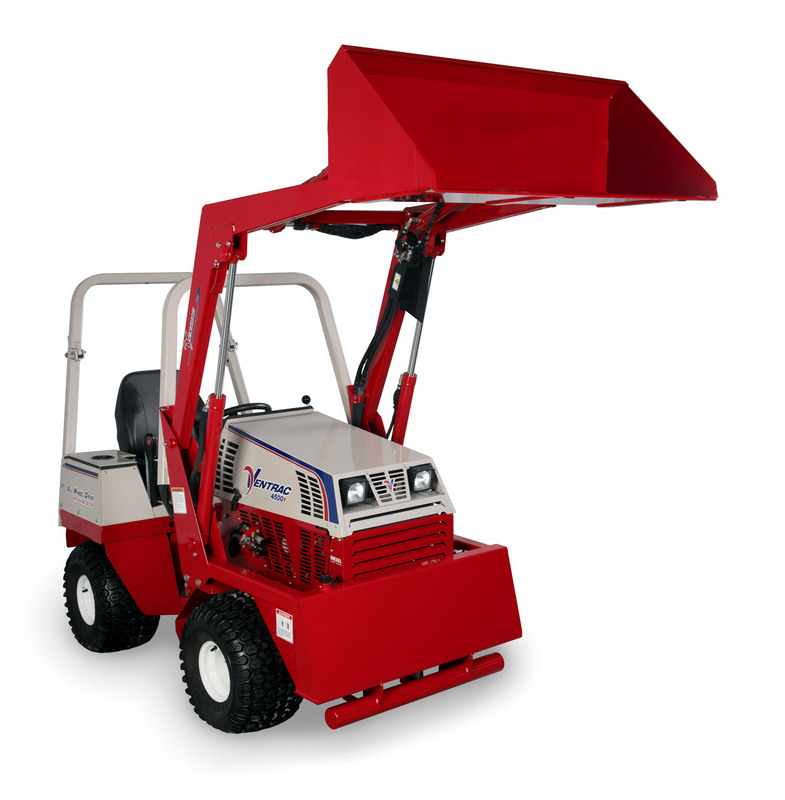 The KH500 VERSA-Loader offers you a standard 5 cubic foot bucket capable of lifting 500 pounds over 6 feet high. 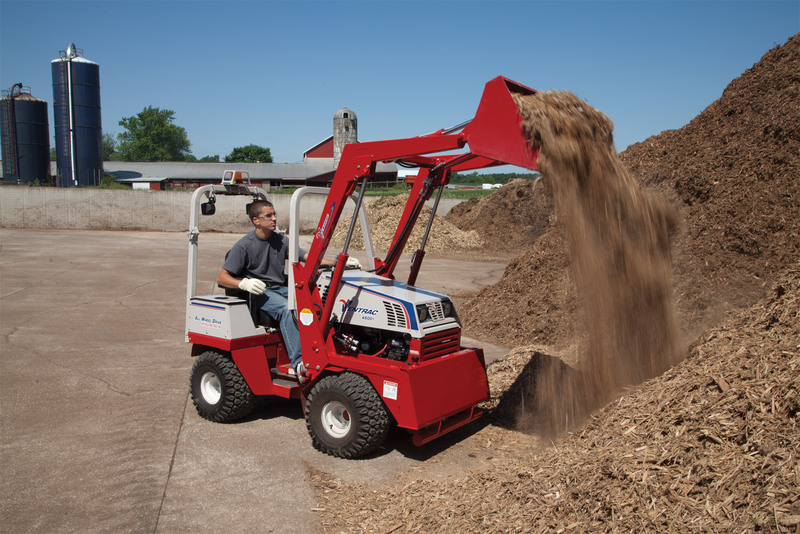 The versatile design allows you to disconnect and get attached to other optional attachments in minutes without tools or heavy lifting! Enlarge Picture / Press Link · Ventrac 4500Y lifting with Versa-Loader - Increase your capability with a six foot lift capacity. Enlarge Picture / Press Link · Ventrac 4500Y using Versa-Loader - The Versa-Loader can lift and carry five cubic feet of materials. 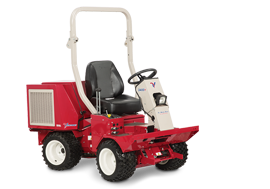 Enlarge Picture / Press Link · Ventrac 4500 with the Versa-Loader - The Ventrac can do the work of larger more expensive machines with attachments like the Versa-Loader. 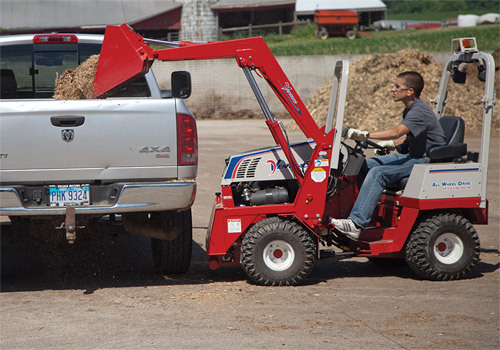 Enlarge Picture / Press Link · Ventrac 4500Y working with Versa-Loader - The high lift of the Versa-Loader allows you to get material to more places without putting your Ventrac in an awkward or unsafe position. 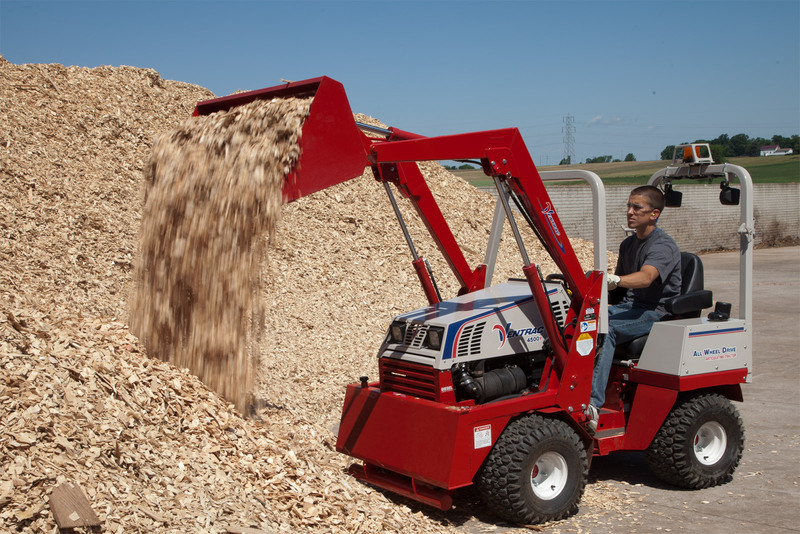 Enlarge Picture / Press Link · Versa-Loader on a Ventrac 4500 - Precise placement of materials at heights of up to six feet with the Versa-Loader.